UFC lightweight champion Conor McGregor appears to have lost his mind, or needs a reality check. McGregor was sitting cageside at Bellator 187 inside 3Arena in his backyard of Dublin Friday supporting his fellow SGB Ireland teammate Charlie Ward. 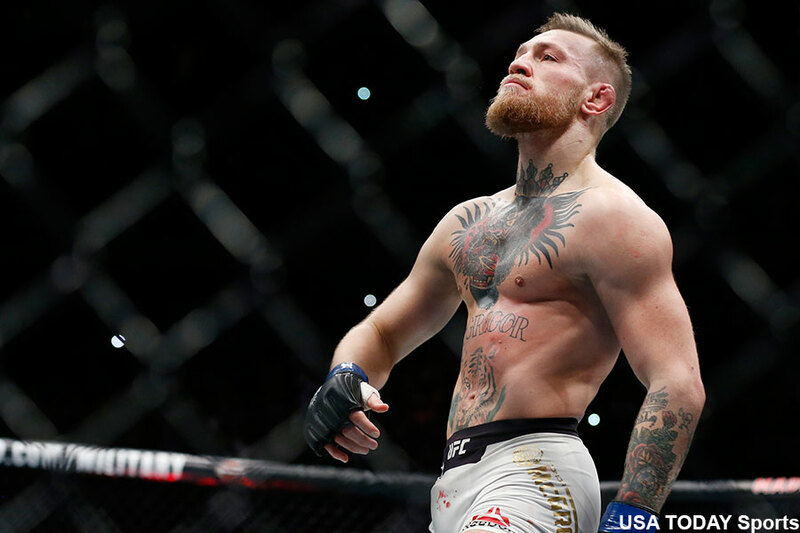 After watching Ward unleash a vicious 1stRound TKO victory over John Redmond, McGregor rushed inside the cage in excitement despite not being a licensed cornerman. MMA’s biggest superstar just got caught up in the moment of his teammate’s thrilling victory – no harm, no foul. McGregor then shoved referee Marc Goddard and started screaming at him. McGregor had to be physically removed from the cage. As if that wasn’t bad enough, a second video surfaced showing McGregor trying to jump the cage to continue his celebration with Ward. When a commissioner pushed him off the rail, “Notorious” quickly countered with a left hand slap to the face. Also, remember what the UFC did to Jason High when he shoved referee Kevin Mulhall to contest a second round stoppage loss to Rafael Dos Anjos in June 2014? “I’m going to cut him. I look at that the way (Paul) Daley put his hands on his opponent after a fight was over. You don’t ever, ever f*cking touch a referee, ever. You’re done here,” UFC president Dana White said at the time. White most certainly won’t fire McGregor, his biggest cash cow, for something he did during a rival’s event. However, it will be interesting to see how the UFC and White respond to McGregor’s latest antics.